Affordable fashion jewellery is here! With stores globally, come and shop all things style at Lovisa and create your ultimate look. 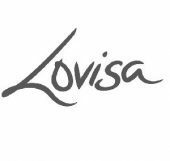 Lovisa is a fashion forward brand with the desire to style the latest trends and designs and bring the fashion accessory market into a new realm. With intrinsic luxury and refined quality, Lovisa is one of the leading fast fashion accessory brands globally. At Lovisa we focus on bringing you the latest trends in statement style, essentials and must-haves, covering all your fashion jewellery needs for your day-to-day, special occasion or even Friday night wear!